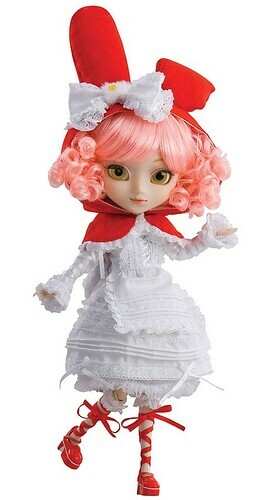 Pullip My Melody × Hen’nako Announced! I apologize for delay on getting this one posted up, Pullip My Melody x Hen’nako was also announced the other day via Groove’s blog. For those who don’t know or aren’t familiar with My Melody, she is a Sanrio character. She is a rabbit but her rabbit ears are always covered in a hood which has traditionally been red but more recently it has been pictured as pink or red. 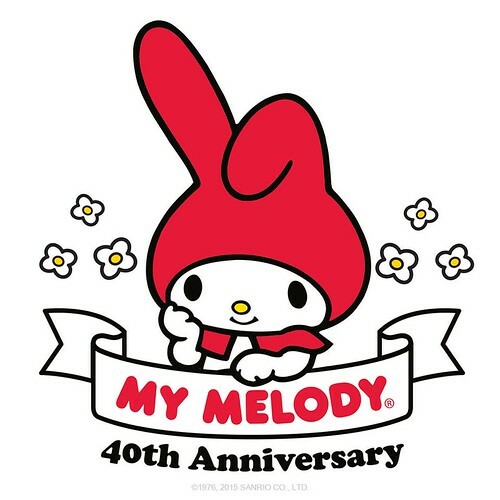 This year marked the 40th anniversary of My Melody. Jun Planning/Groove has previously collaborated with Sanrio before and have even made a My Melody Pullip way back in 2008. The original My Melody is everything you would expect from a Sanrio collaboration doll, very sweet and innocent. The new My Melody Pullip is also a collaboration with Mitsubachi@BabyBee who has previously been a featured artist in the Creator’s Label line collaborating on such dolls as Kuhn, Seila and the fan favorite Alura. My Melody is done up in Mitsubachi@BabyBee’s signature style in particular she styled a bit like Mitsubachi@BabyBee’s popular character Hen’nako. Like a dream and cute, it might be somewhere I’ll go to an eye on you. My Melody x Hen’nako will be released in Japan in January and February here in the US. 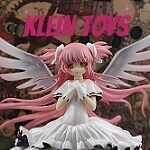 She has a MSRP of 22,000 yen which is about $183 as of this writing. The back view of the outfit. The dress underneath her stock outfit is very cute! It looks like it is beaded and very nicely detailed. I love her cute My Melody purse. I love her gradient eyelids, they are some of the most interesting eyelids I’ve seen on a stock Pullip. The face up is not bad I’d love to see it on a darker themed doll but it just seems somewhat out of character for such a sweet character like My Melody. 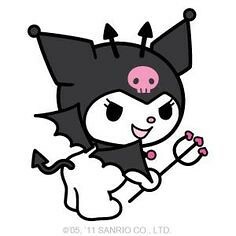 The more I look at her face up the more I think of My Melody’s devilish rival Kuromi (pictured below). How adorable would a mischievous Kuromi themed Pullip be? Verdict: I like the doll and I like the outfit but not really together, she is also quite costly at 22,000 yen so I think I am going to need to wait to see owner photos on this one! This entry was posted in 2016 Groove, Doll, Pullip and tagged 2016 Groove, 2016 pullip, creator's label, hen'neko, my melody, Pullip, sanrio. Bookmark the permalink. 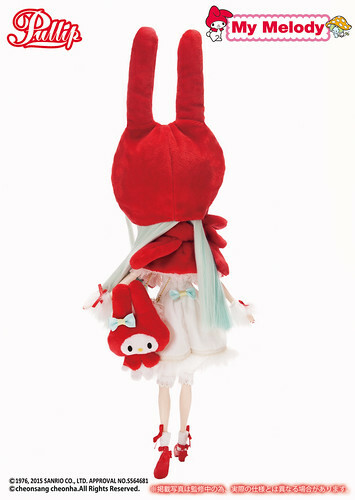 2 Responses to Pullip My Melody × Hen’nako Announced! So Kuromi is My Melody’s sister I believe. Also I would die with excitement if a Kuromi ever came out.